Jonas family builds seamless life of school, business & faith. The AFA Journal of the American Family Association profiled PJ and Jim Jonas, their 8 children and their family business, Goat Milk Stuff. AFA Journal said: It’s this reality of God that the Jonas family longs to bring to others through Goat Milk Stuff. The AFA Journal spotlighted the Jonas family in an inspirational article headlined “God, Grit and Goats,” reporting how PJ and Jim Jonas focus on Christian values and with the help of their children, built Goat Milk Stuff into a “booming family business” of goat milk soaps, lotions and more. 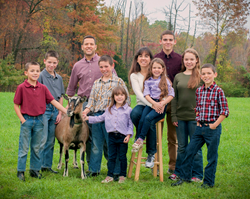 In the April 2014 issue of AFA Journal, writer Rebecca Davis said, “Goat Milk Stuff is primarily an Internet-based business that functions with God and family at its core.” Working together on their farm in Scottsburg, Indiana, the Jonas family makes natural goat milk soaps, lotions and more for customers across the USA and worldwide. “For us, everything is integrated: school and work, the business, God; all of that touches every single aspect of our lives,” PJ said. Each of the 8 homeschooled Jonas children, ages 6 to 17, help in age-appropriate ways. The youngest are girls, Indigo and Jade, who help by putting soap in bags while big sister Brett, 17, oversees shipping. Colter, who helps Jim make soap, leads boys Emery, Fletcher, Greyden and Hewitt, who milk goats, clean the barn and do other chores. Each child gets a salary and participates in company decisions as they learn about business, along with homeschooling subjects including math, science, history and Bible study. In addition to the AFA Journal, other media has reported about the Jonas family, such as Chicago's WGN TV interview and national network TV’s Today Show and The Doctors, which featured the family and Goat Milk Stuff’s healthy products that help skin, as well as Oprah Magazine and others. The Jonas business maintains an active social media presence with a growing following at Facebook.com/GoatMilkStuff, YouTube.com/GoatMilkStuff and at Twitter.com/GoatMilkStuff. 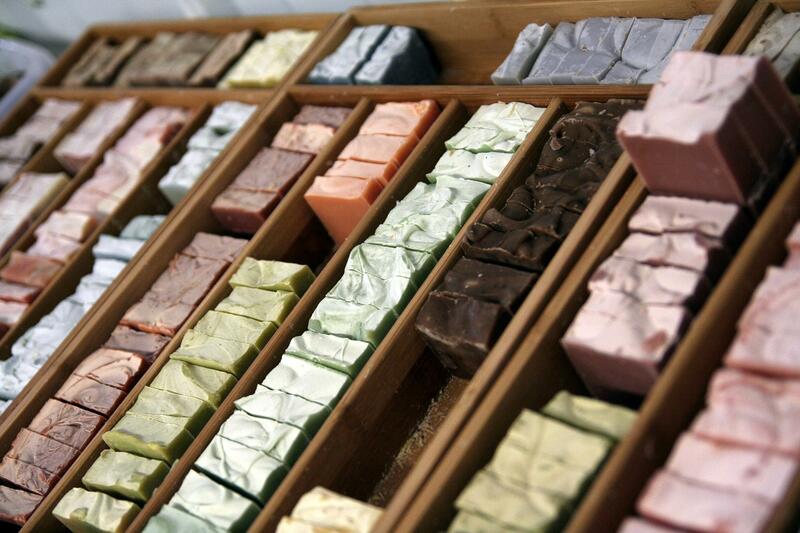 Online at GoatMilkStuff.com, the Scottsburg, Indiana company makes and markets all-natural Goat Milk Stuff™ products including goat milk soaps, lip balms, lotions, bath bombs, laundry soap, soy candles and more. For media or entertainment, contact Brian Dobson at DobsonPR.com or BD (at) DobsonPR.com. Goat Milk Stuff goat milk soaps are luxuriously creamy & leave skin clean and moisturized Goat Milk Stuff natural goat milk soaps bars, skin lotions and more are homemade by the Jonas family on their Indiana farm. 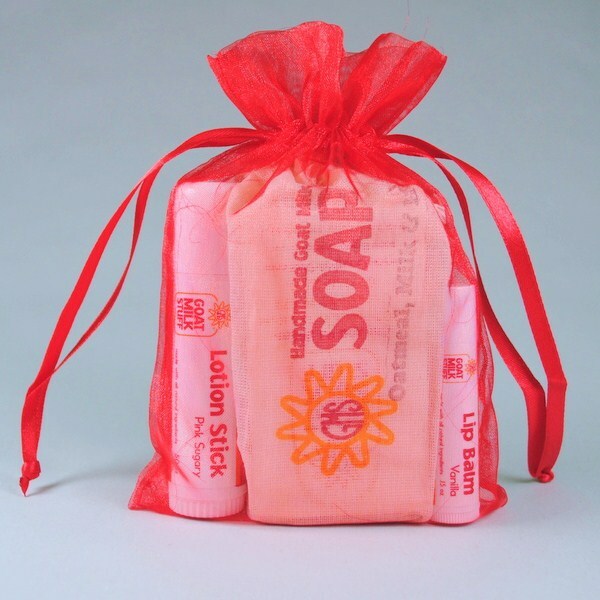 A variety of Gift Packs highlight the products online at GoatMilkStuff.com. 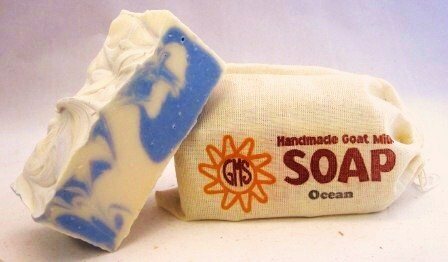 Ocean is one of the many natural goat milk soaps made by the Jonas family at GoatMilkStuff.com. 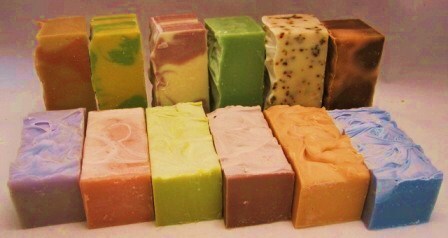 Sampling of all natural chemical-free creamy goat milk soaps from GoatMilkStuff.com, homemade by the Jonas family.